White beaded crochet jug cover. 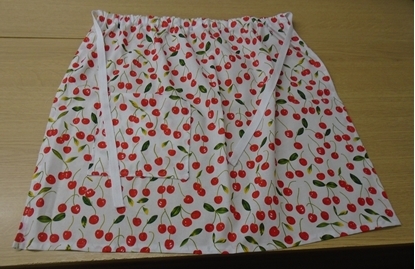 100% cotton fabric waist apron with pocket. Elastic waist, cotton tape ties.